Our first significant snowfall and cold snap arrived this week. As it happens, they coincided with a hiccup in our heating system. When we woke up on Tuesday morning, the temperature inside was down to 13 degrees (55 fahrenheit). Outside it was -5. Brrr. Definitely a day for breakfast in bed under the covers. Fortunately, a service tech from our geothermal company (Waterloo Energy Products) arrived by 8am and by 8:30 the heat pump was chugging again. It turned out we needed a new capacitor (the cylinder in the centre of the photo below), which is apparently a fairly inexpensive part (we haven’t received the invoice yet). We’ve had our geothermal system for more than five years, and we’ve been really happy with our choice to go geo. While at first we knew next to nothing about geothermal, now we’re huge endorsers of this system. While he was here the tech checked the rest of our setup and everything seemed to be in good shape. Which is good as the cold snap is continuing. Yesterday was -18 but felt like -27. Yipes. Baxter has yet to take his turn at serving breakfast in bed. These days, there are numerous programs where people can access government grants to help make their homes more energy efficient. 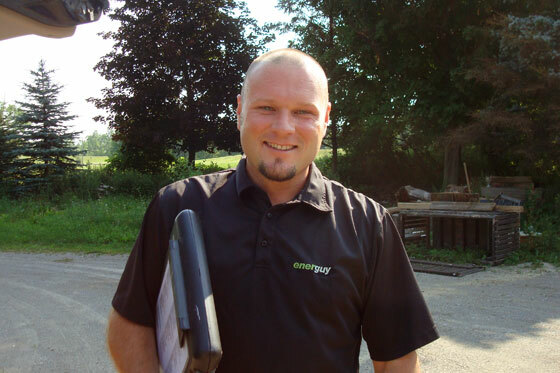 When we bought the farm, Matt and I were able to qualify for the ecoEnergy retrofit program through the Government of Canada. 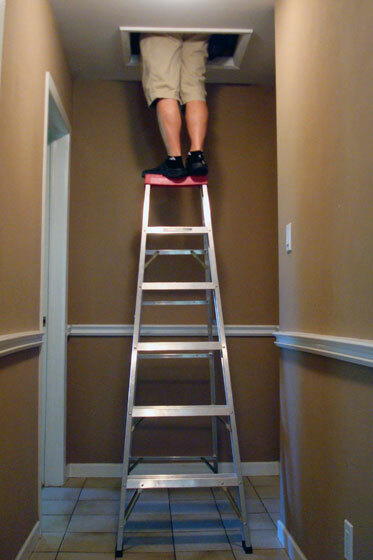 Knowing that we had a long list of repairs that we needed to do, including improving the insulation in the house and replacing the furnace and air conditioning system, we were looking for any help we could find. The ecoEnergy program “provided grants up to $5,000 to help homeowners make their homes more energy-efficient.” Ummm, $5,000 is pretty helpful! The challenge for us with the ecoEnergy program was that it had a very tight deadline: the end of March 2012. We only took possession of the farm on March 2, so as soon as our offer was accepted in January, we went to work to get things in place to qualify for our grant. A registration number was required for all steps of the program. 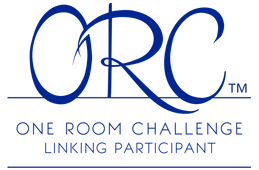 Registration was free and easy to do online. By requiring homeowners to register in advance, the government could manage the budget for the program; there was only space for 250,000 homeowners to participate. I registered the farm on Jan. 27. The program reached its cap and stopped accepting registrations the very next day. This was just one of many times where I felt fate was on our side with this property. Once we had registered, we were in a bit of a holding pattern. While we were able to enroll in the ecoEnergy program before we officially owned the farm, inspections and any actual work had to wait until the deal closed on March 2. But, March 31 was the deadline to complete any upgrades. We would have just 29 days to do all of the work. That meant I spent February finding an inspector to do our pre-retrofit evaluation, getting quotes for our geothermal system and insulation upgrade, hiring contractors and scheduling everything so that we were ready to go as soon as the farm was ours. Before we did any work, we had to have the house inspected by an inspector licensed by Natural Resources Canada. We chose to go with Energuy. The pre-retrofit inspection was scheduled for 12 noon on March 3, the day we officially took possession. 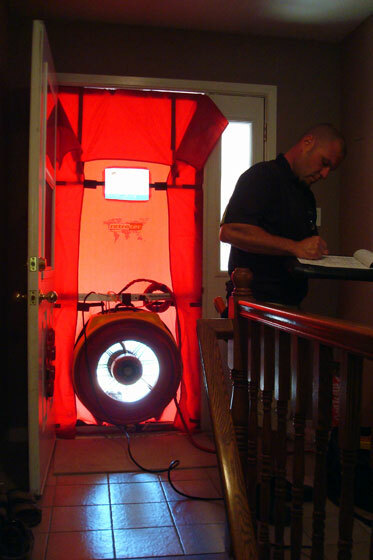 The inspector looked through the house from the attic to the foundation, documenting the insulation, the furnace and air conditioner, the hot water tank, the windows and the toilets (the areas that were eligible under the terms of the program). With the help of a big fan he put in the front door, he also performed a blower test which showed any air leaks that we had in the house. He also helped us fill out all of the paperwork required by the program. According to Energuy, the average rating for a house like ours is 64. So we weren’t too far below the average, but that wasn’t much comfort to this over-achiever. Obviously, the biggest upgrade we were making was the geothermal system. Installation started on March 5 — 26 days left in the program. The attic insulation was upgraded on March 16 — 15 days to go. And then just under the deadline, on March 25, we bought two new low-flow toilets — 6 days to complete install! Post upgrade, our energy auditor checks out the new insulation in the attic. We did one additional upgrade that we weren’t able to squeak in before the March 31 deadline–the spray foam insulation in the basement, which happened at the start of May. The final step in the ecoEnergy program was the final inspection. We had until June 30 to complete this step. Matt and I scheduled our inspection on June 29, as we wanted the basement renovation to be as far along as possible before the inspector came. While none of the work we did in the basement counted towards our grant, sealing the broken windows and insulating the exterior walls all contributed to the overall air-tightness of our house. During the blower test, the inspector took eight readings at five different pressure points to test how air tight our house is. Again, the inspector checked the house top to bottom, took pictures of all of our upgrades and did another blower test. We gave him copies of all of our receipts to prove that we completed the work before March 31 and filled out some more paperwork, and then we waited. Then, last week, this arrived. Money coming in, rather than going out! Yup. We maxed it out. We got the full $5,000 we were eligible for through the program! The results from our second inspection spell out all of the details. After all of our upgrades, our final ERS was 85. We beat the estimate of how much we could improve our efficiency by 5 points! Even better, we tied the “highest rating achieved by the most energy-efficient houses” in our category. The grant is a very nice acknowledgement of the improvements we’ve made to the farm and our commitment to be more energy conscious. The rebates offered by the government are not enough to make someone do repairs just to get the grant, but, for people like us who are planning to do the work anyways, the grant ends up being a nice bonus. Anyone else out there ever participated in a government grant program? What are you doing to be energy conscious in your home? Fall is officially here, and I finally broke down and turned on the heat pump. The temperature has been down as low as 17.5 over the last couple of days. Brrr. I enjoy sleeping in the cool fall nights. With an extra blanket, I’m nice and cozy under the covers. However, once I’m out from under those covers, the cool fall mornings are uncomfortably nippy. And now that the temperature is staying fairly cool through the days and evenings too, I was feeling the chill, even with slippers and sweaters. 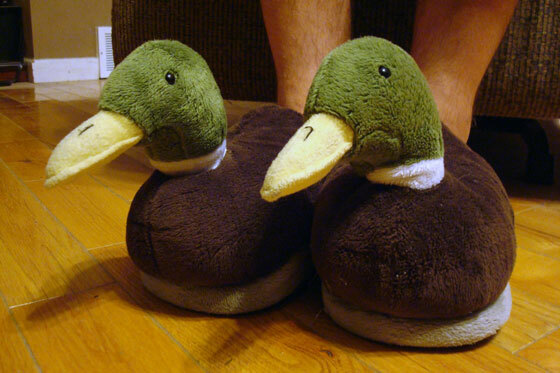 Matt’s slippers of choice, the ducks. I had hoped to make it to Thanksgiving or at least the first of October before we turned on the heat, but we wimped out. What about you? Have you turned on the furnace yet? Anyone else out there like their animal slippers? We’ve had a bit of an odor recently over at 129 acres, and it’s not from the manure wafting from neighbouring farms. No, this smell was coming from inside the house. At first it was just a slight malodorous scent of sulfur. It quickly became a rank rotten eggs with a side of green onion disgusting reeking stench. This fetid fragrance materialized every single time we ran any hot water. The two days last week when I wore my hair in a ponytail? Yep, that was because I couldn’t bear to stand in the shower long enough to wash my hair. Katy’s explanation: Turns out that hot water heaters contain an element called a sacrificial anode, which is typically made of magnesium or aluminum and keeps the hot water heater from rusting (and is also a terrific name for a rock band). However, it also somehow provides excellent breeding conditions for a harmless but stank-producing species of bacteria that releases hydrogen sulfide gas as a waste product. I called our geothermal folks, as they installed the hot water tanks in the first place, and pleaded for help. They gave us a few options. We chose to go with option #3. 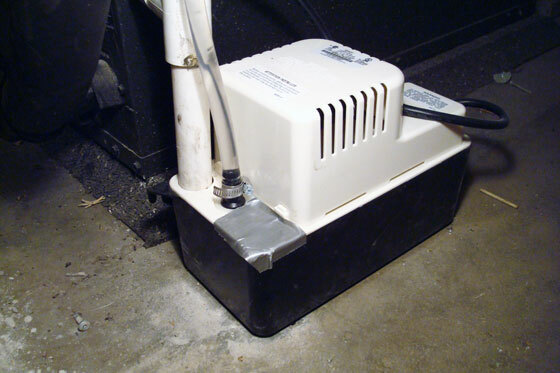 We’ll take the risk of the tank rusting over replacing our three-month-old hot water tanks or installing a new anode that might be just as attractive to these stinky little bacteria. Removing the anodes took about an hour. Given that our tanks are pretty new, I was surprised by the amount of build-up on the anodes. I’m not sure whether it’s just minerals from the water, salt from the softener or actual corrosion. The one anode is coated in a grainy white sand. The other is actually pitted pretty substantially. I’m not sure what this means for the future of our anode-less hot water tanks. On the positive side of things, our water is now odor free. We turned on the tap in the bathroom to drain the tank and went for a walk outside to avoid the stench. After giving the tank some time to refill and reheat (and lighting a vanilla candle to cover the rest of the smell), I took a wonderful, warm, unscented shower. And yes, I even washed my hair. This is the final post in “Going Geothermal.” I’m going to evaluate our experience thus far. 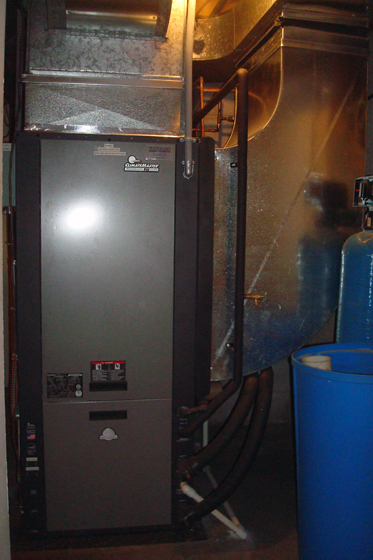 In the first post of this series, I mentioned that geothermal wasn’t even on our radar when we first thought about replacing our furnace. Now, two months after the geo was installed, we couldn’t imagine choosing any other system. Geothermal is expensive when it comes to the up front costs. 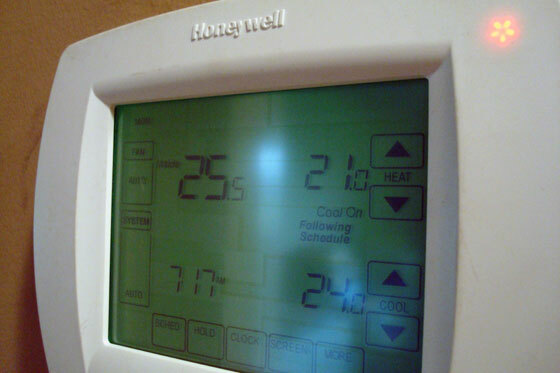 We definitely paid a lot more than we would have if we had chosen to go with a traditional high-efficiency furnace, even taking into account a new air conditioner and hot water heater. Over the long term, however, we should actually save money. According to Matt’s calculations, with the savings we get from not having oil, we should be even after seven years. And after that we’ll be paying about one-third of what we would have been paying if we had an oil system. Geothermal is a greener technology, which is important to me. I like knowing that I’ve made a responsible choice that is better for the planet than the other options that were available. As I mentioned, our system consists of a 5 tonne ClimateMaster heat pump with a desuperheater and a 6 tonne horizontal loop. All of the elements of the system are working very well. 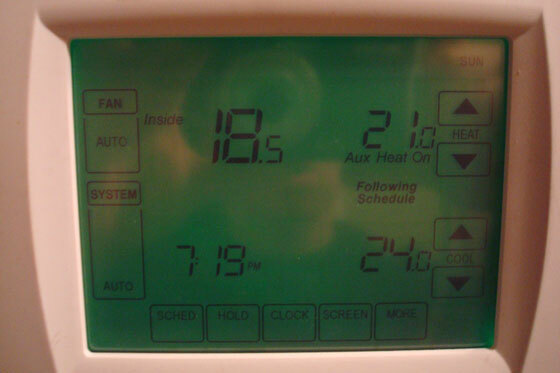 The temperature in the house is very comfortable, and we have lots of hot water. Early in the process of going geothermal, we were told that a geothermal system is most efficient if it can run 90% of the time. Ours definitely does not do this. It could be because it’s spring and temperatures are warmer. Or it could be because our system is slightly over-size for our house due to our plans for future expansion. I’m willing to sacrifice some efficiency to avoid upgrading the heat pump in the future when we put on our addition. 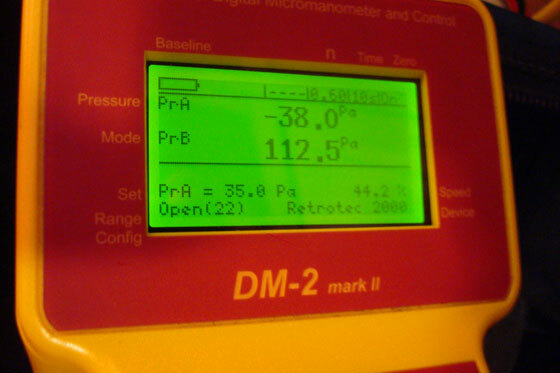 On the con side of things, I would say geothermal is slightly noisy. 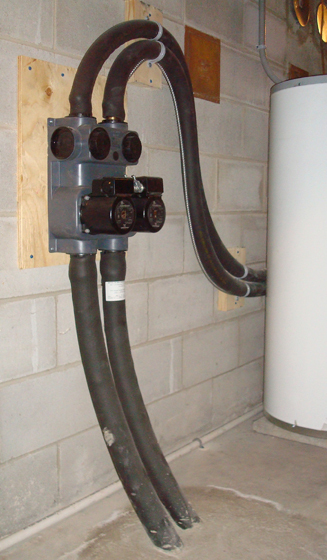 The heat pump itself is incredibly well-insulated, so you don’t hear the motor or other elements. However, a huge volume of air is being pushed through our ducts–more than if we had a regular furnace. As a result, I find I hear the air as it circulates, and I notice more when the system is running. I’ve also noticed that the air seems to be dryer than it was at our old house with our gas furnace. I’m not sure whether that’s a factor of the house or of the geothermal. 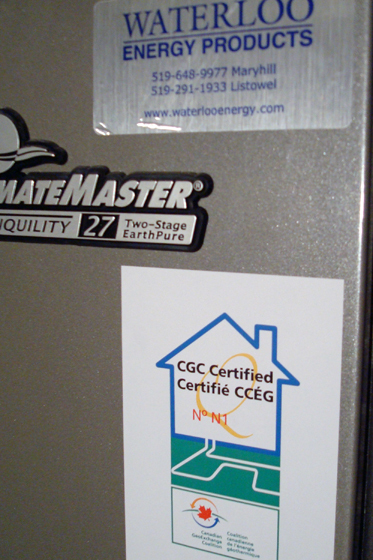 Our geothermal contractor was Waterloo Energy Products. From the beginning with my initial phone call to their office, I was very impressed by their customer service. They answered every single one of my questions, even if they did tease me a bit about my questionnaire. From the office staff, Jim and Jason, to the on-site crew, Chris, Paul and Mike, they were all very professional, knowledgeable and helpful. 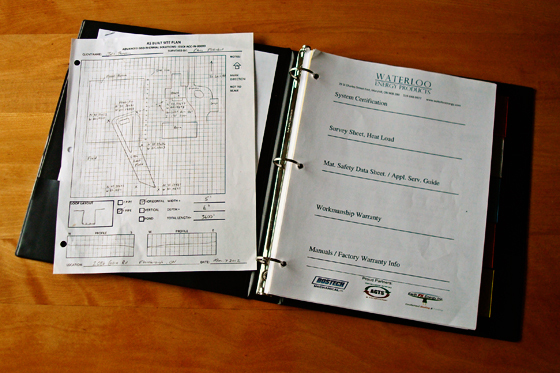 At the conclusion of the install, Waterloo Energy Products provided us with a binder with all of the information and documentation for our system, including site diagrams and warranties. They are also personally very committed to geothermal and have geothermal in their own homes. Their office is an education in sustainable living, showcasing multiple renewable energy products all under one roof. If you’re at all interested in renewable energy–not just geothermal–I encourage you to visit their Sustainable Living Centre. The one part of our geothermal system that I haven’t evaluated yet is the air conditioning. As it’s still spring, we haven’t used it yet. However, I promise to post an update once we do. I’m sure Matt will put it to the test this summer. After five years without a/c, this is one feature of the farm that he’s very excited about. Update: The air conditioning evaluation is now available. For now, this concludes the “Going Geothermal” series. We’re very pleased with our decision to go with geothermal, our system and our experience with Waterloo Energy Products. I hope that this series gives you some insight into our experiences and helps those that are interested in going geothermal themselves. When you’re undertaking a large renovation project, such as installing a geothermal system, you of course want to know how much it’s going to cost. Most people want this information as early in the process as possible and so they spend time typing “how much does geothermal cost” into search engines and talking with contractors, trying to figure out what the final bill will be. Often, it’s really difficult to find this information. Many people are uncomfortable talking finances and don’t necessarily want to share how much they pay for things. Contractors don’t want to put a number on projects until they’re able to work up a quote that’s accurate for your particular situation. And for reference $20,000-$30,000 is the range we worked with in all of our early figuring for our geothermal, and we tend to always go on the high end–start with the worst case scenario and hopefully you’ll be pleasantly surprised. All of the contractors I spoke with confirmed we were likely looking in that range. 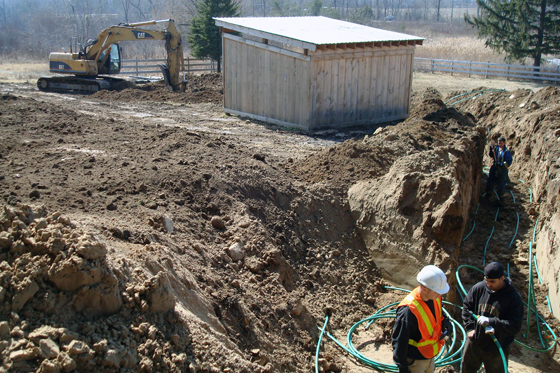 In the end, Waterloo Energy Products’ estimate for our geothermal system came in at $25,558.34. A big factor for us when it came to the costs for our geothermal system was also the Government of Canada ecoEnergy program. This program (which has now ended) provides a rebate of $4,375 for installation of a ground source earth-energy system (aka geothermal). Sometimes when you’re doing a renovation, there ends up being a difference between the price you’re quoted at the beginning of the project and the price you end up paying when all of the work is done. This did not happen for us with our geothermal system. The price that Waterloo Energy Products originally quoted us was the price we paid. So, all in, taxes, certifications, rebates, our geothermal system cost $20,883.34. Only one more post left in our “Going Geothermal” series. Coming up next week, the verdict on our system, our contractor and geothermal itself. 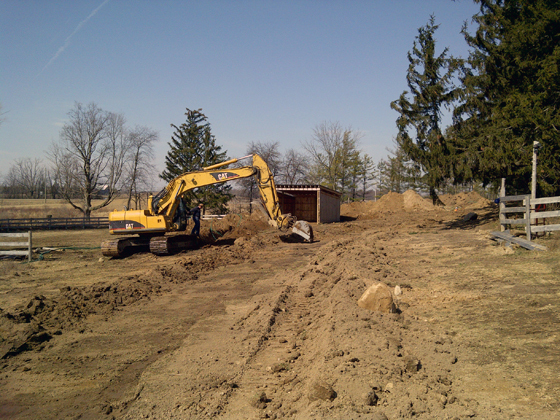 As I mentioned in previous entries of “Going Geothermal” (see Part 1: The decision and Part 2: Picking a contractor), we were on a tight timeline for the geothermal system, and on the third day that we owned the farm installation began. Waterloo Energy Products crew laying the geothermal loop. Coincidentally, the day before installation began the oil tank also ran dry. We topped it up with diesel, and then our geo contractors spent more than an hour getting the old furnace running. They never did get the hot water tank working again. This timing just confirmed for us that we made the right decision in going for the geo right away. Here’s the schedule of how our installation played out. Remove old pool room furnace. 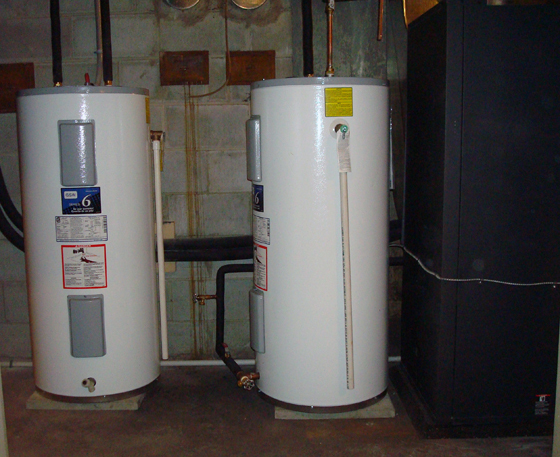 Move new heat pump and hot water tanks into the basement. Prep work. Directional drilling. The geo system is made up of two main components: the loop field where the pipes are laid and the heat pump in the house. Somehow, the two systems have to be connected. Option 1 for doing this is digging a trench between the loop field and the house and popping the pipes horizontally through the foundation wall, hopefully right into the utility room. In this scenario, the pipes will be about mid-way between the floor and ceiling, so if you can’t get access directly into the utility room, the pipes will have to run along the wall until they can get into the utility space. Outside you need clean access to the foundation, which means no patios or other obstructions between the loop field and the spot that you want to go through the foundation. Option 2 is directional drilling (also known as horizontal boring) where a special drill rig tunnels in from the field under the foundation (and in our case under a patio and under a sun room) and pops up through the floor of the utility room. It’s a very clean installation, but you pay extra for the convenience of not having a big trench running up to your foundation. The geothermal lines entering and exiting the utility room. Also on day 2 our contractors removed the (non-functioning) hot water tank and the house furnace. The Dig. This was the part I was most excited about. For our 6 tonne loop system, our contractor dug three trenches 300 feet long, 5 feet deep and 5 feet wide. It was a huge excavation. 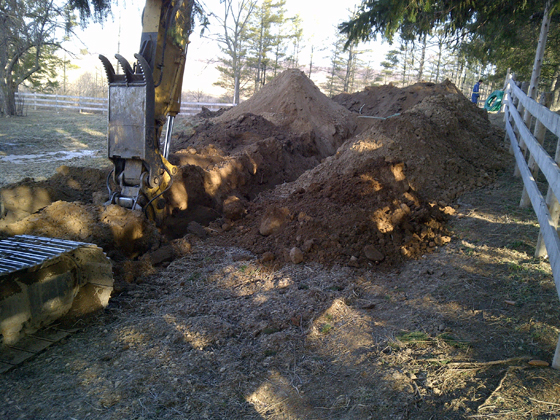 Fortunately, we have a lot of property and our contractor had a big excavator. For some context picture me driving up to the farm at 7:45 in the morning (we weren’t living there yet) and seeing a giant machine toddling through the field behind the barn. It actually looked like it was picking its way delicately along. Of course, that illusion did not last as 15 minutes later the shovel was in the ground and digging had begun. One scoop of his shovel was a full 5 feet across. The progress after just 15 minutes of digging. He started digging at 8 a.m. and by 3 p.m. the loop was fully installed, the trenches were back-filled and the machine was on its trailer heading away down the driveway. Two-thirds of the loop down, one-third to go. The mounds of earth you see in the centre and at the left of the picture are the two completed trenches which run for 300′ long. The third trench is coming around behind the run-in shelter. If you look closely, you might be able to see the green pipes ready to be laid in the open trench. While the Waterloo Energy Products crew was working out in the loop field, another contractor finished all of the duct work inside, including tying the new system in to the pool room. Our system also includes a 10kw electrical back-up unit (in case anything goes wrong with the heat pump) and by the end of day 3 it was chugging away and we had heat and hot water in the house again. 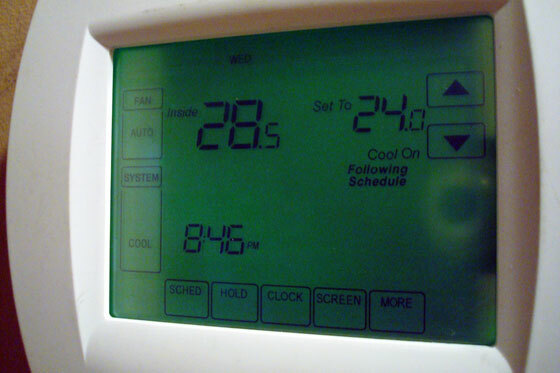 Inside installation, including connecting the heat pump into the loop. By the end of the day, I had my favourite email from my WEP crew: “You are running on geo as of now!” Throughout the installation the crew was great at keeping me updated on their progress, letting me know what time they were coming the next day and what was next on the schedule. Finishing touches and tweaks. Final hook-ups of hot water tanks (we have a desuperheater unit that captures excess heat from the heat pump and uses it to supplement hot water generated by our main electric hot water heater, hence the two tanks). Day 5 also saw removal of our old air conditioner. One nice thing about the geothermal system is that there is no equipment outside. The loop is buried in the ground and the heat pump and hot water tanks are tucked away in the utility room. And for a utility room, it looks pretty good. Everything is neat and tidy and very well placed. Every tour of the house now includes a stop to admire the geothermal system. Coming up next in “Going Geothermal,” the question everyone most wants to know: the cost. 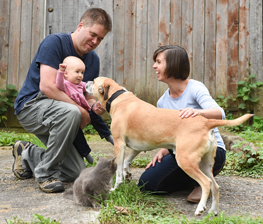 I’ve already talked about making the decision to install a geothermal system at our farm. Now I’ll talk about how we selected our contractor. We started getting our quotes before we took possession of the farm. We knew the furnace upgrades were somewhat urgent, and the ecoEnergy rebate program expired at the end of the month that we took possession. Our goal was to have the contractor selected and the work scheduled so that we could have our new geothermal system installed the first week we owned the farm. We didn’t really know anyone who had geothermal, so we couldn’t get a referral. There were a couple of houses along our concession that had geothermal, and the contractors had posted signs at the edge of the road, so I got one number that way. Through the Canadian GeoExchange Coalition, I was also able to get a list of CGC qualified companies in our area. We made our short list, and I started calling people. I called five companies to start. I asked each of them the same basic questions about how geothermal works and what would work best for our situation. Based on the initial phone interviews, I then chose three contractors to come out to the farm and quote on the job. The decision of who made the short list depended on how they answered my questions and the overall feel I got from our conversation. The site visits involved looking at locations for the loop field, inspecting the duct system within the house and checking out the utility room to figure out how to lay out the new system. I was also up front with all of the contractors about two things that could dramatically affect our system. First, I knew I wanted to eliminate the two furnace set up and include the pool room on the same system as the rest of the house. However, having one system was contingent on using the pool room as just a room and not having an indoor pool. 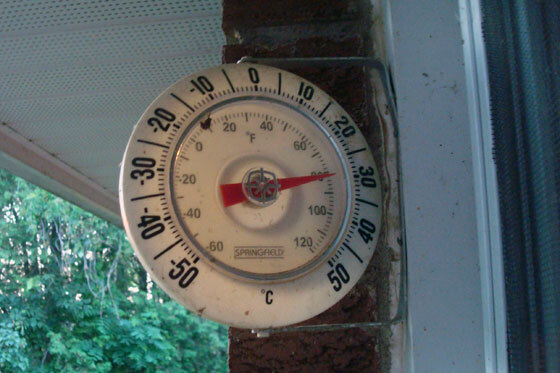 A pool causes issues with temperature and humidity that can challenge a geo system. The second issue was that we know that we hope to add on to the house eventually, so we wanted a system that was sized to handle the larger square footage. During the site visits, I had detailed questionnaires that I asked each contractor. I’ve posted the questionnaire here in case anyone wants to check it out or copy it for themselves. This post from 3 acres & 3000 square feet was helpful in giving me an idea of what to look for in a contractor and what questions to ask. Based on just the questionnaires, the three contractors were pretty evenly matched. Two out of three used the same brand of highly rated heat pumps. They all did heat loss calculations to determine what size of system we needed (although it was a bit of a guess as to how big our house would be eventually). They were all very experienced and had worked on lots of residential and commercial projects. They could all do the work within the time frame that we needed. And I liked all of them. In the end it came down to the quotes. I was surprised with the amount of variation in both the systems that were recommended and the prices that were quoted. Contractor #1 quoted us a 5 tonne heat pump with a 6 tonne loop. Contractor #2 quoted us a 4 tonne heat pump with a 4 tonne loop for $3,650 more than #1. Contractor #3 quoted us a 6 tonne heat pump with a 6 tonne loop for $4,200 more than #1. From what I can tell, most of the variation in the systems came from how each contractor accounted for future expansion. In the end, we felt like the 5 tonne heat pump with the 6 tonne loop would best meet our needs today and down the road. And I can’t deny that the lower price was a key part of the decision too. Reference calls yielded very positive reviews and confirmed the good vibes we had felt in meeting with the reps from the company. 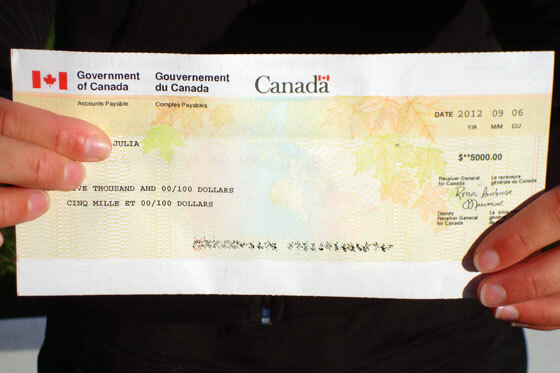 So, we said, “You’re hired!” to Waterloo Energy Products and sent off our deposit cheque. Installation was quickly scheduled to begin the Monday after we took possession. And that’s next in the series. Stay tuned. Click here for part one of the “going geothermal” series: The decision to go geothermal.